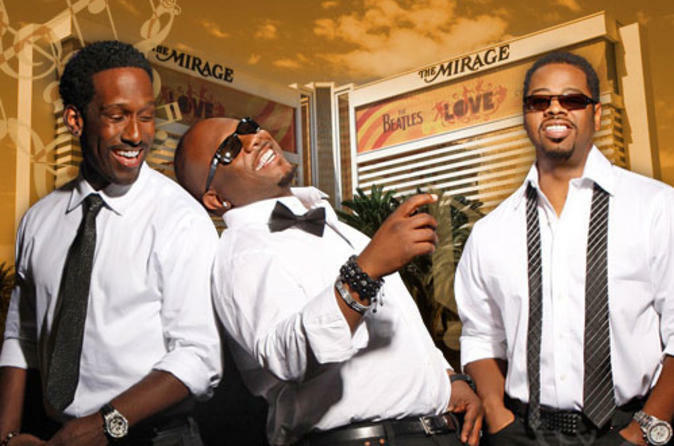 Settle in to hear the smooth sounds of Boyz II Men at The Mirage Hotel and Casino on the Las Vegas Strip. In the intimate setting of the Terry Fator Theatre, savor the a capella style, sweet harmonies and passionate delivery of the band, which has sold 60 million albums since its start in 1990 and is the biggest-selling R&B group of all time. With four Grammy Awards, nine American Music Awards and a star on the Hollywood Walk of Fame to its name, the group continues to produce new material, influence other artists and entertain audiences all over the world. Enjoy listening to them perform classic hits including 'End of the Road,' 'I'll Make Love to You,' 'One Sweet Day,' 'Water Runs Dry' and 'On Bended Knee,' as well as newer songs such as 'More Than You'll Ever Know.' This 1.5-hour concert is an excellent way to kick off a romantic night in Vegas! Special Offer - Book with us and receive a seat upgrade to Category A and save 22% compared to the local operator's price! - Book Now!